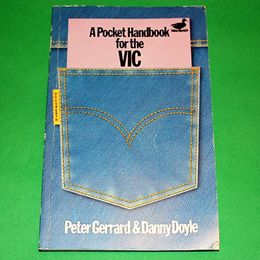 "All the vital information needed to use the VIC". A fairly technical little book covering ASCII tables, BASIC keywords, error messages, colour memory, disk commands, memory maps and much more. A 96 page paper back in excellent condition.